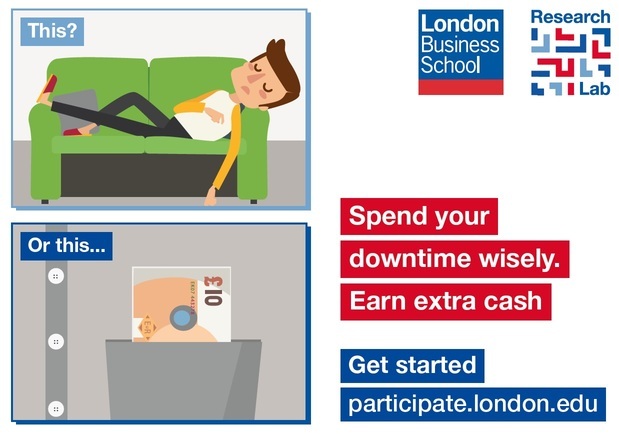 There aren’t many places in London to make easy money; until now! 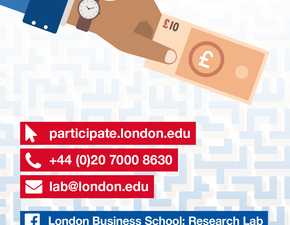 London Business School Research Lab invites you to take part in academic research and earn cash in hand at our lab. 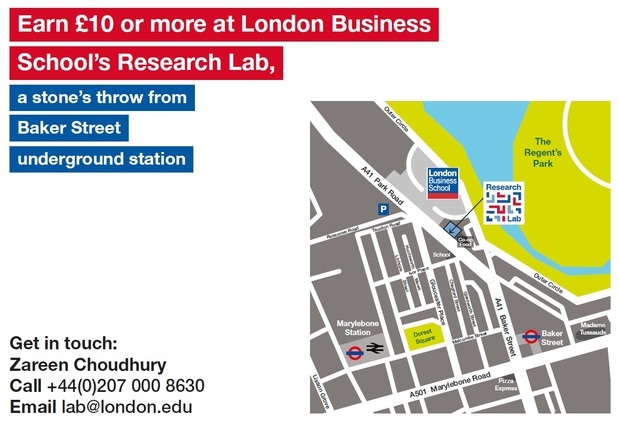 5 mins walk from Baker Street Station. 18+ only. Sign up on our website.